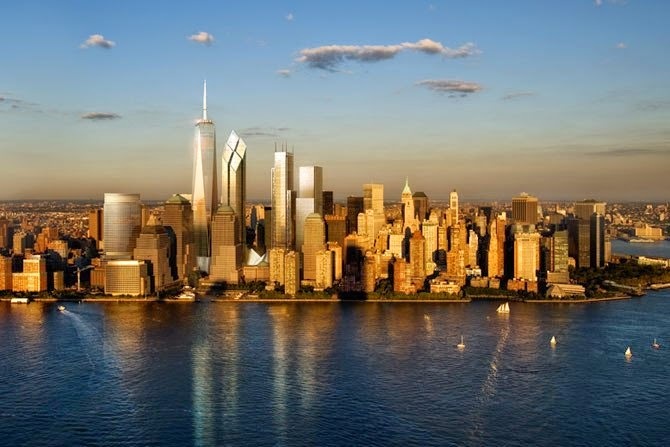 The New York city skyline is complete again, thirteen years after the 9/11 terrorist attack, with the new World Trade Center opening for business yesterday, Monday, November 3, 2014. Its first tenants, Conde Nast magazine publishers, began moving into their new offices. With 104 stories, it is now the tallest building in the United States. In addition to the 104-story tower with its 3-floor observatory, the site contains the 911 Memorial and the 911 Museum, both built to pay tribute to what was lost. 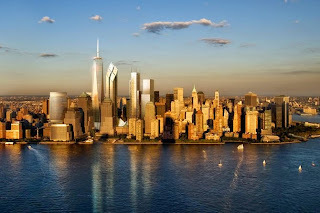 The new World Trade Center (1 WTC) is a rebirth for lower Manhattan, New York City, and the country. It symbolizes the future on a site that is truly inspirational.